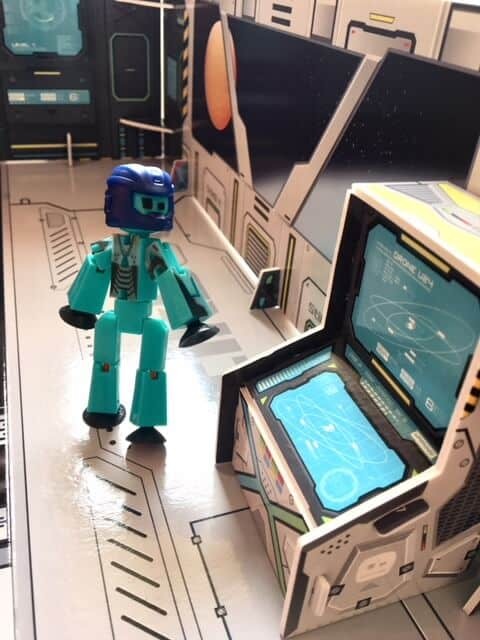 The past week we have been taking a look at the StikBot Space Movie Set Animation Studio. 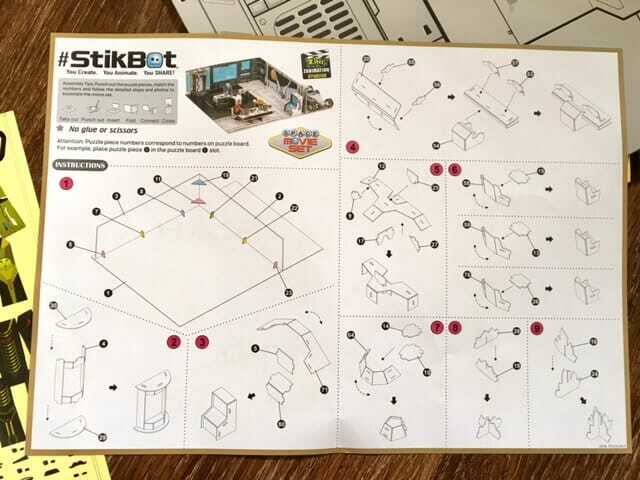 You may ask what is a StikBot? Well a StikBot is an easy-to-pose figurine with strong suction cup hands and feet can stick to almost any flat surface. They are the characters in your movies that you can make. 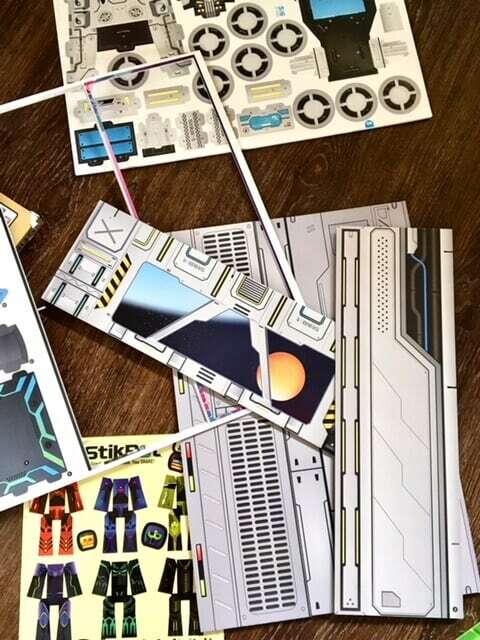 The StikBot Space Movie Set comes flat packed for you to build. Each piece is numbered so easy to fit together. Together with a free mobile app, StikBot Studios, available on iOS and Android, you can shoot your movie by taking photos and stitching them together into a film. There is also built-in music and sound effect options on the app. 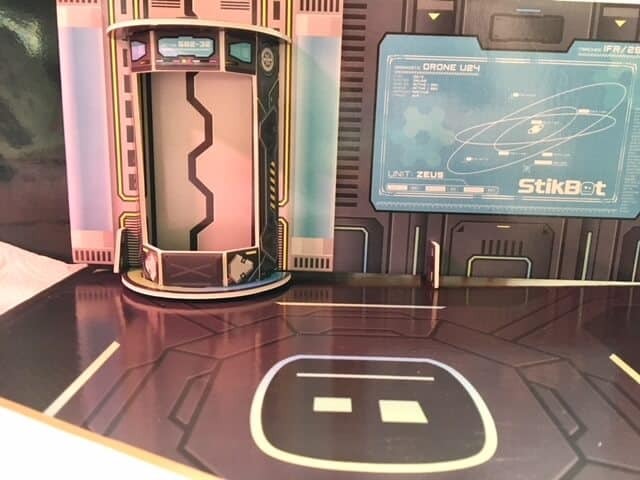 The movie set are made from a durable foam board and are easy to build with no glue or scissors. 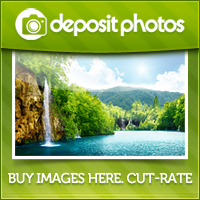 Each set includes extra props and can be used inside and out for making movies. 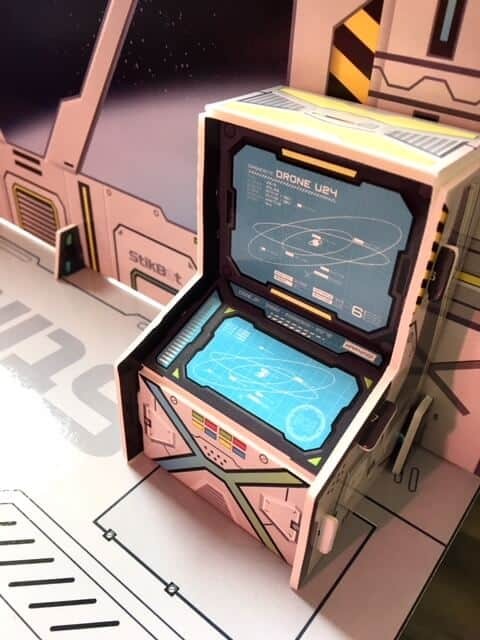 The flip over base takes you to the outer space location. 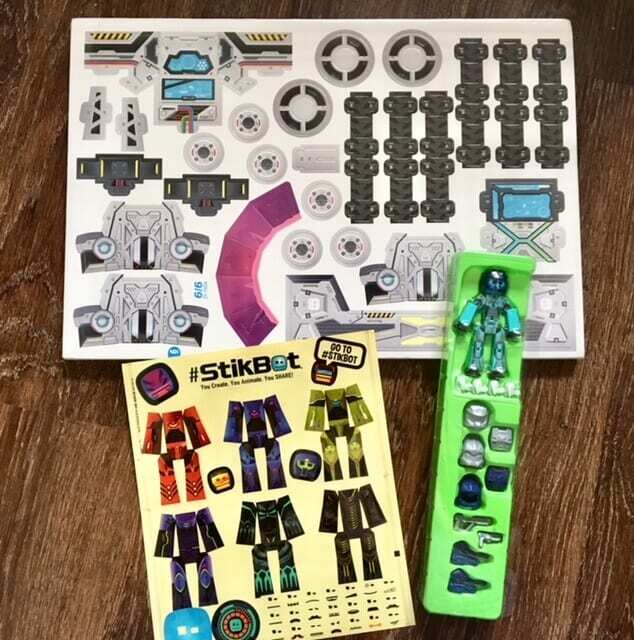 The pack contains one StikBot, accessories and costume stickers. 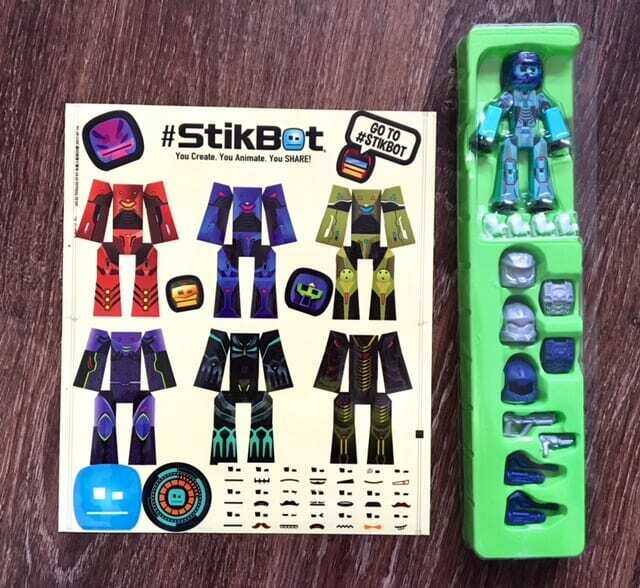 I would have loved some more figures included as we are new to StikBot don’t have any more figures for the set. The instructions are a huge help, I wouldn’t know where to begin if it wasn’t for them! They are detailed and concise. 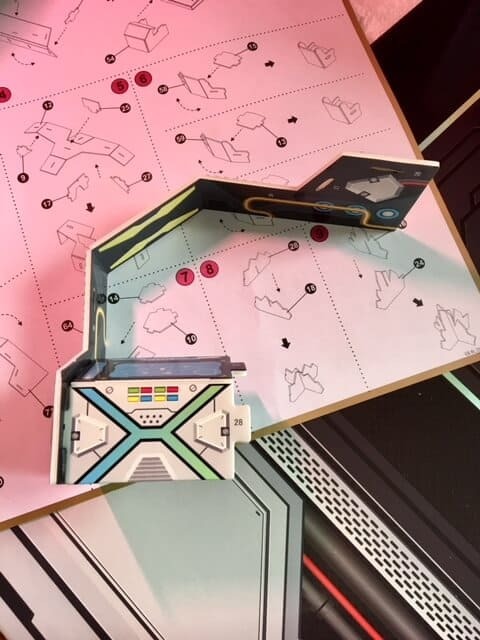 You have a command center, battle station, space rover and teleport machine to build. I found it very therapeutic making all the props, the pieces are scored where they need bending and just slot into where you need them to go. StikBot is great for imaginative play. Learning all about animation and being creative. Recommended for ages 4 and over but I’d say they would need to be with an adult to help with the tricky small pieces. 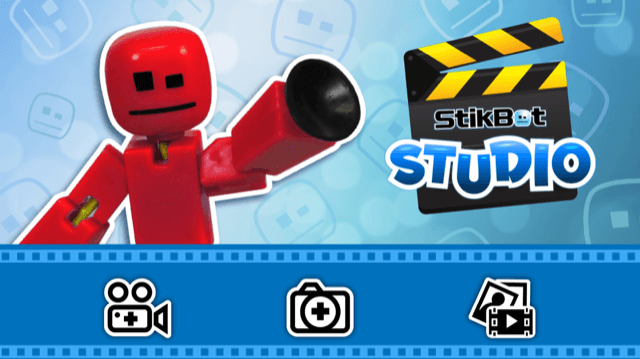 Don’t forget to share your movies with #StikBot on social media. 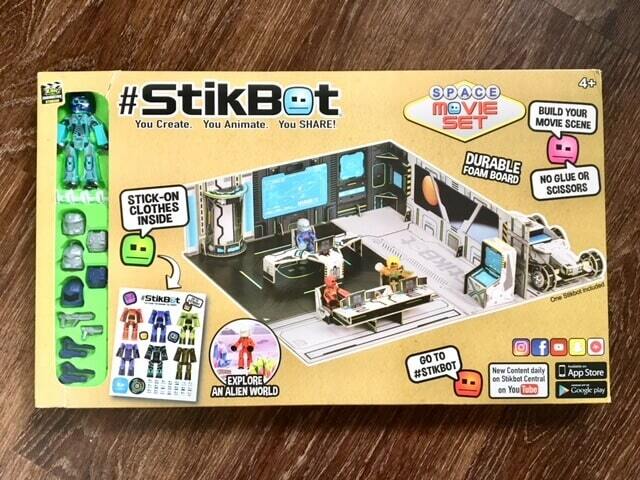 There are many other StikBot movie sets to build. Here are a few of them. 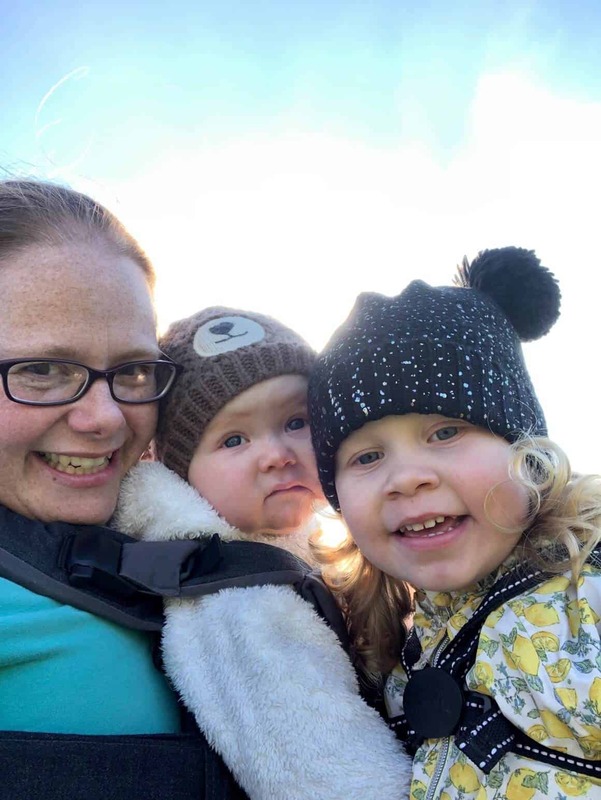 Thanks for stopping by today I hope you have enjoyed this review. Here you will find my other toy reviews. *We were sent this item to review in exchange for this post. All thoughts and opinions are my own. This is so cool! Not for J obviously as he is too young, but I am thinking it would make an awesome Father’s Day gift! So much fun for daddy and J to do together. They would both love it! Thanks for sharing. 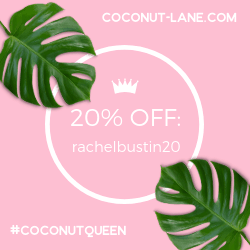 Off to the website.